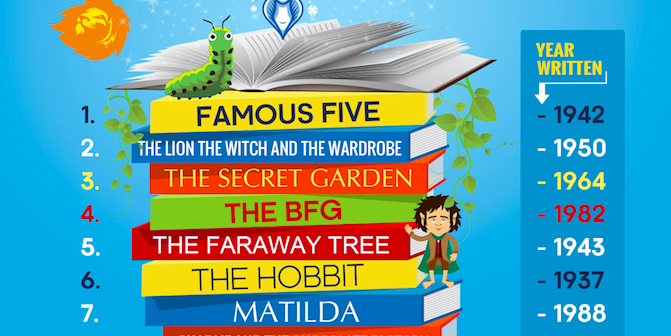 Aimed at children aged 4–11 years, of all reading abilities, the Summer Reading Challenges encourage children to carry on enjoying their reading outside of school during the holidays. They borrow books and earn stickers and other rewards throughout the challenge. The books they choose can be anything that takes their fancy: fact books, fiction books, poetry books or even audio books. They need to read six books to complete the challenge and if they do, they get a certificate. Our local schools get involved so there is the option for the certificate to be presented in assembly. My eldest loved this! This year’s challenge is called Mischief Makers and features all the favourite characters from The Beano (to commemorate Beano’s 80th anniversary). Once signed up, children will receive a Beanotown map and as they read their books they’ll follow a trail to uncover the hidden treasure. Most libraries in Scotland have already started the challenge and the majority in England and Wales will start the challenge on Saturday 14th July 2018. There’s a mini challenge for under fours available in most libraries. It’s a matter of great debate. My daughter Sofia, who is nine, likes a mix of modern and classic. She absolutely loves David Walliams, Roald Dahl, Enid Blyton, J.K. Rowling and Andy Stanton’s Mr Gum books. According to research by cartridgesave.co.uk, which has just launched its ‘Gift of Books‘ campaign, the classics still have a firm place in all our hearts. 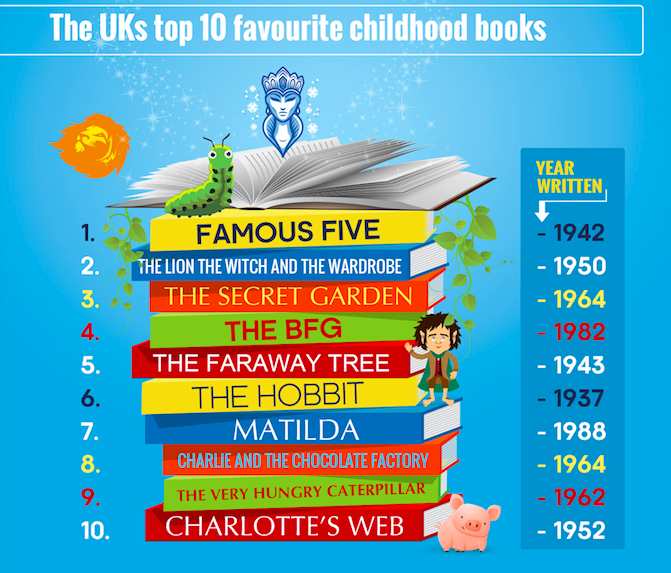 Their survey of 2000 people – of all ages – saw Enid Blyton’s Famous Five (Five on a Treasure Island -1942) take top spot as the nation’s favourite childhood book. What’s you favourite childhood book?